Dundee remain at the foot of the Premiership after going down to a 2-0 defeat in Perth. Callum Hendry put St Johnstone ahead in the first half and Matty Kennedy made the points secure for Saints just before the hour. There should have been more goals in an open game, and the Dark Blues missed two great chances, but the home side were well worth their win. Dundee made four changes following Saturday’s defeat at St Mirren. Darren O’Dea, Jesse Curran, Paul McGowan and Kenny Miller came in for Genseric Kusunga, Scott Wright, Craig Curran and Andrew Nelson, who were all on the bench. Saints brought in Ross Callachan and Callum Hendry (son of ex Dee Colin) to replace Sean Goss and Murray Davidson. St Johnstone’s attacking had the Dee in trouble right from the start. After four minutes Saints opened up Dundee’s defence with a fast raid down the right. Ross Callachan made space to shoot from 12 yars but Seny Dieng denied him with a superb save. Chris Kane tapped the loose ball into the net but from an offside position. The home side continued to put the Dark Blues under fierce pressure and Dundee struggle to keep Saints out. Gradually Dundee emerged from their shell and staged some good breaks up the field. Jesse Curran raced 60 yards up the park before setting up Kenny Miller whose curling shot was well saved by Xander Clark. In a 30 second spell that served as cameo for the season Dundee wasted a great chance and then fell behind to a sucker punch. Curran again raced at the Saints defence before sliding a perfect pass through for Kenny Miller. Instead of shooting the Dee striker took the ball round Clark, found the angle too difficult to shoot and his cutback into the goalmouth was cleared. 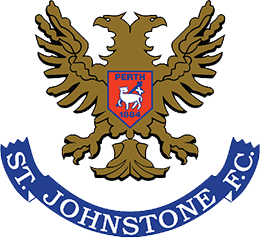 St Johnstone raced away down the right and Richard Foster’s cross was volleyed home at the far post by Callum HENDRY. Dundee responded with some promising attacks and John O’Sullivan found Miller in space, but he blazed over the bar. St Johnstone could have added to their lead when another fine Foster cross was missed by Chris Kane in front of goal. Martin Woods forced a good save from Xander Clark, who saw his low 20 yard shot late and did well to push the ball round the post. At the other end Hendry was desperately close to connecting with Tanser’s fierce cross that flew across goal. The pace of the game slackened in the last 15 minutes of the first half, but Dundee were quickly out of the blocks after half time. A fast attack on the right ended with a perfect cross from Jesse Curran that Ethan Robson met only a few yards from goal, but he somehow sent his volley over the crossbar. Dundee’s bright start to the half quickly faded and the Dark Blues disappointingly fell out of the match. St Johnstone gradually stepped up their game and took control. Matty Kennedy had been impressive ibefore the break and had an outstanding second half. Kennedy cut in from the left and arrowed a 20 yard shot for the top corner but Dieng got his fingertips to the ball. The Saints winger had only a few minutes to wait for his goal and after 59 minutes he drove through the middle into the penalty area. Dragging the ball onto his left foot KENNEDY slid a shot across Dieng and inside the far post. Andrew Nelson and Andy Dales came on for Kenny Miller and James Horsfield, with Jesse Curran moving to right back. The change gave Kennedy even more space as Jesse Curran tried to continue supporting an attack that was struggling to make any impression. Craig Curran also came off the bench to replace Martin Woods, but the Dundee midfield couldn’t offer any effective support to the strikers and St Johnstone’s defence had few problems in the remainder of the game. St Johnstone were a constant threat, especially when they moved the ball out wide to Kennedy, but they created only one more good chance. Kane got the slightest of touches with a header right in front of Dieng, who reacted well to block with O’Dea clearing the loose ball over the bar under pressure. The Dark Blues never came close to pulling a goal back as their challenge fizzled out in the later stages. Saints had plenty of good opportunities to add to their lead, with acres of space to play in as Dundee chased in vain after a goal, but the home side never managed to take advantage. 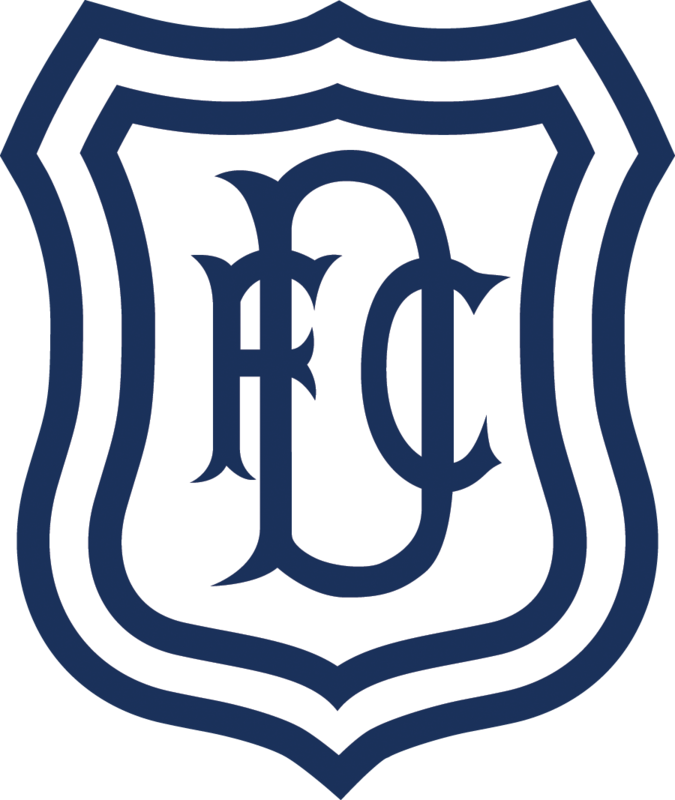 The game was decided by a few moments at either end, when Dundee failed to take wonderful chances and lost concentration in defence. However, over the whole game St Johnstone fully deserved their win. 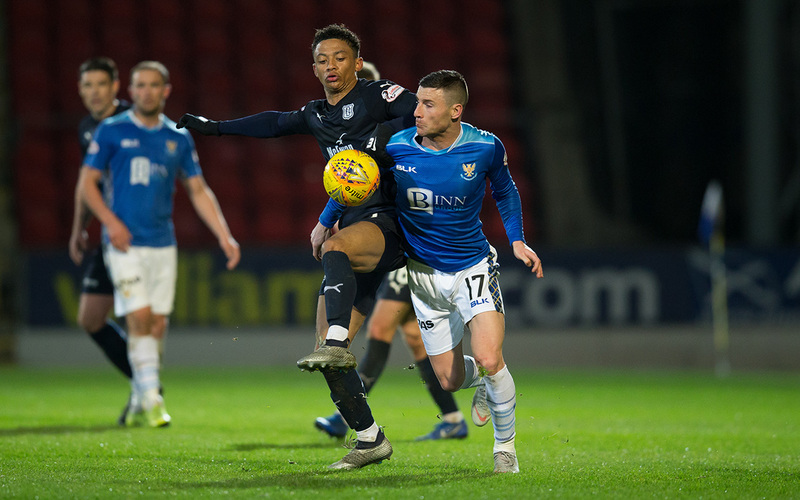 Dundee moved the ball around well in the first half, in which Jesse Curran was particularly effective running at the Saints defence, but in the last half hour St Johnstone were able to see the game out comfortably. Unused subs: Bell (gk), Swanson, Comrie, Gordon, Goss. Goals: Hendry (16), Kennedy (59). Booked: Callachan (foul on Dales). Unused subs: Parish (gk),Kusunga, Wright, Moore. Booked: O’Dea (foul on Kane). Referee: Greg Aitken. Assistants: David Roome, Anthony Cooper. Fourth Official: John Beaton.